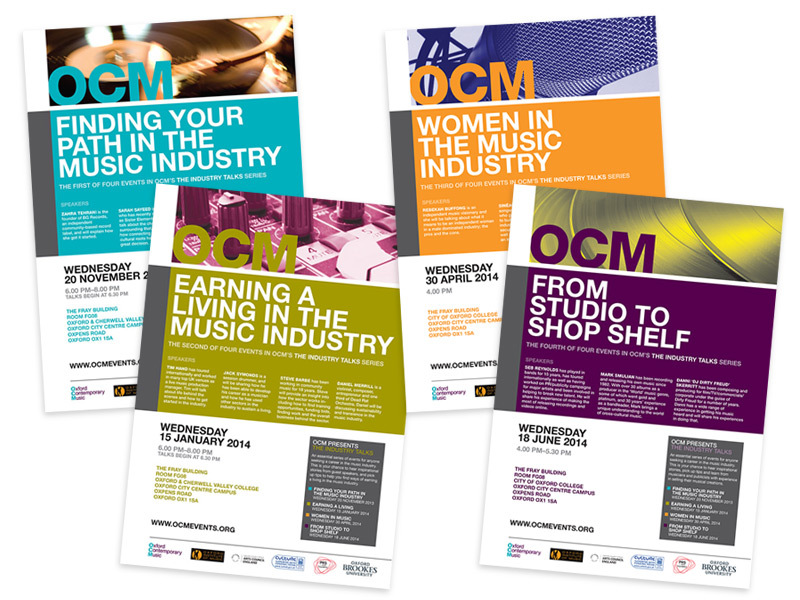 'The Industry Talks' is a series of four events run by OCM (Oxford Contemporary Music), running over 2013 and 2014. Each talk covers a different aspect of the music industry, with a selection of experts providing insights into their areas of specialisation. To promote 'The Industry Talks' a series of four posters and postcards were designed, to provide an overall branding style for the event series, while retaining individual character for each.